Writing a book is a creative act but promoting a book is a business. The Para Promotion Program gently introduces authors to the business side of books. Dan Poynter’s Para Promotion Program is a series of book promotional projects the agoraphobic author can accomplish without leaving home and shows the author what to do to reach their audience. Each assignment takes five to 120 minutes to complete. 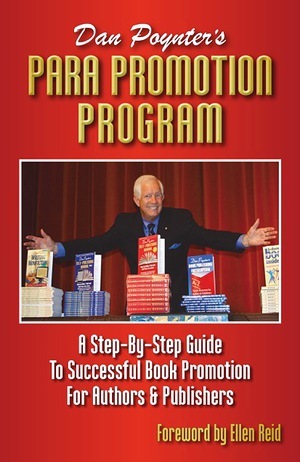 The program not only shows the author how to promote his or her current book, it is a crash course in book promotion that can be applied to future books. And authors who understand how to reach their audience tend to write books their readers want. The Para Promotion Program is far more valuable and much less expensive than traveling to a conference or seminar.